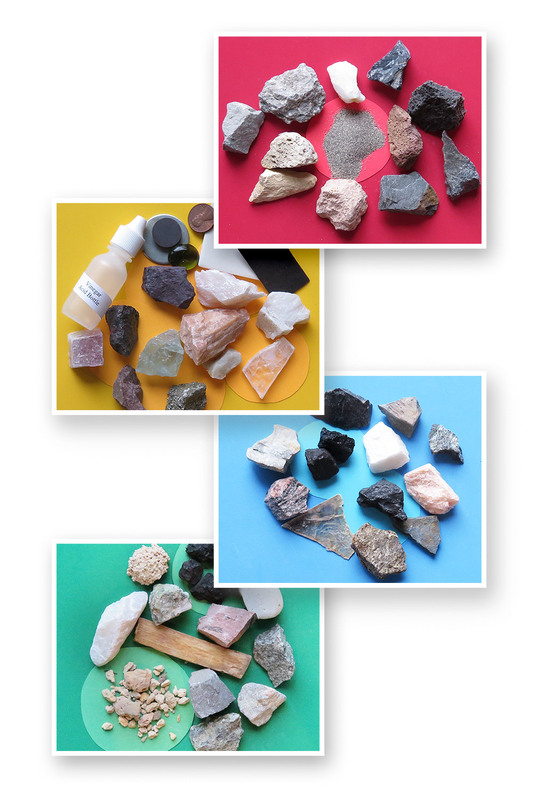 These gravity experiments are fun to do and use materials found around the house. Three centuries ago Newton discovered gravity. Gravity holds us to the Earth and keeps us from floating out into space. If you weigh 100 pounds on Earth and moved to the Moon to live you would only weigh 17 pounds if you stepped on a scale there. The force of gravity is also the reason why if you hold a potato, fork and pencil in your hand and let them go they will fall to the ground. In these intriguing experiments you will be balancing three objects on the edge of a table. The first experiment will be with a pencil, fork and potato. After balancing these three objects you will try to balance other objects. Place a potato on the ground. Push a sharp pencil through the potato so it reaches the other side. The pencil should stick out from the potato about the width of two fingers. Stick the fork in the potato at an angle. See the picture for an idea. 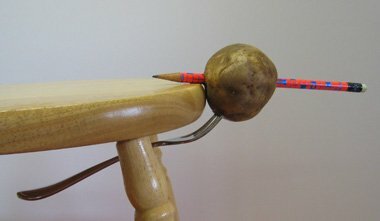 Try to balance the pencil lead on the edge of the table. If it doesn't balance move the fork up or down and try to balance the objects again. Continue moving the fork until the three objects balance on the edge of a table. If your table edge is too wide use a clipboard weighted down instead. After you have balanced the potato try the same experiment with an apple. Notice angle of the fork compared to the potato. How do you think an orange should be balanced? Balance the orange, fork and pencil. Were your right? Try balancing other fruits and vegetables that have different shapes. Elementary Science Experiment, Earthquake Waves Create your own wave box that makes paper clips jump when earthquake waves pass through them. Gravity Experiment, Topsy Turvy Plants Have fun growing tomatoes upside down in this fun experiment. 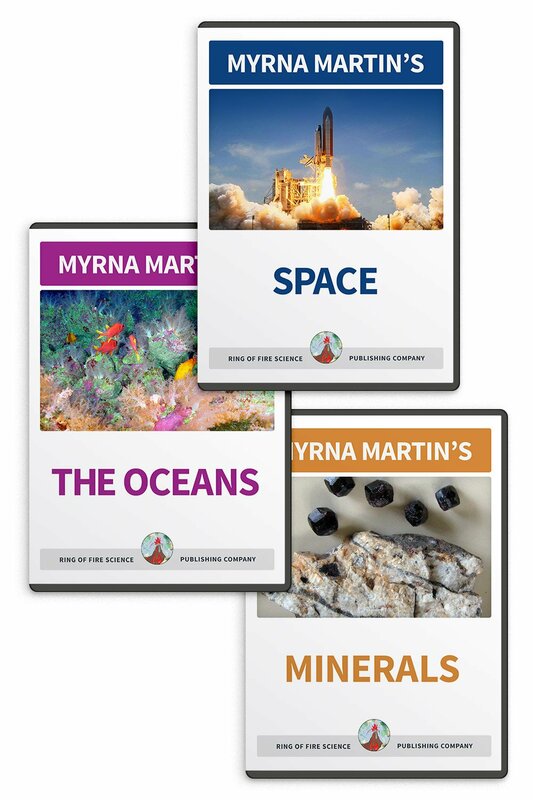 Elementary Science Experiments, Bird Feeders Study the feeding habits of wild birds in your back yard or porch area in this interesting experiment. Science Experiment, Mentos Experiment Have fun creating a geyser of diet coke in the fun and exciting experiment. Science Experiments, Great Ice Cube Race The great ice cube race tests the time it takes for different shapes of ice cubes to melt. Gravity Experiments, Balancing Acts Learn how to balance a potato, fork and pencil on the edge of a table. 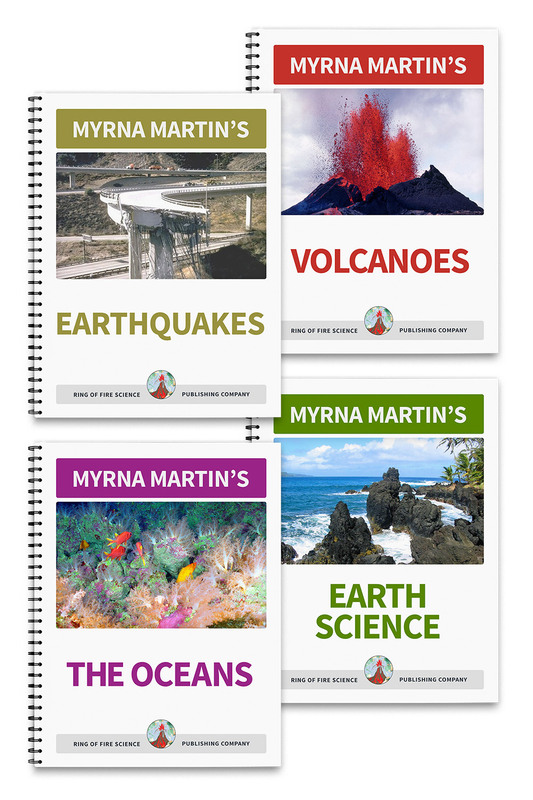 Earth Science The links on this page include information on the Earth, the Rock Cycle, Volcanoes, experiments, activities and much more.